I was playing around with some yarn yesterday trying to come up with a beautiful piece of yarny goodness to share with you all, and when I made two rows of a plain circle it hit me. Sunflowers! I know it’s not season appropriate, but, when I get an idea, I must GET. IT. OUT. NOW! Seriously, I have no patience, and I was worried Mom Brain would tuck it away in some cobweb covered file somewhere in the back of my brain to never be seen again. Ask any mother… that happens. This pattern is made using a picot stitch. To simplify it, I have written out the steps to complete it in the pattern. If you look to the end of the pattern, I have posted photos to help you along if you are confused. The third round is not completed in the back loop. It is worked in the 3rd loop. I have also included photos of this for those unfamiliar with it. Working in the 3rd loop: If you look in the back of your work, right below your back loop, you can see a small loop that runs right across your stitch. This is your third loop. All of your stitches will work into this loop. The Picot Stitch: When you have finished your first dc, ch 3. In the 3rd ch from hook (the 1st ch in this sequence), you will ss. 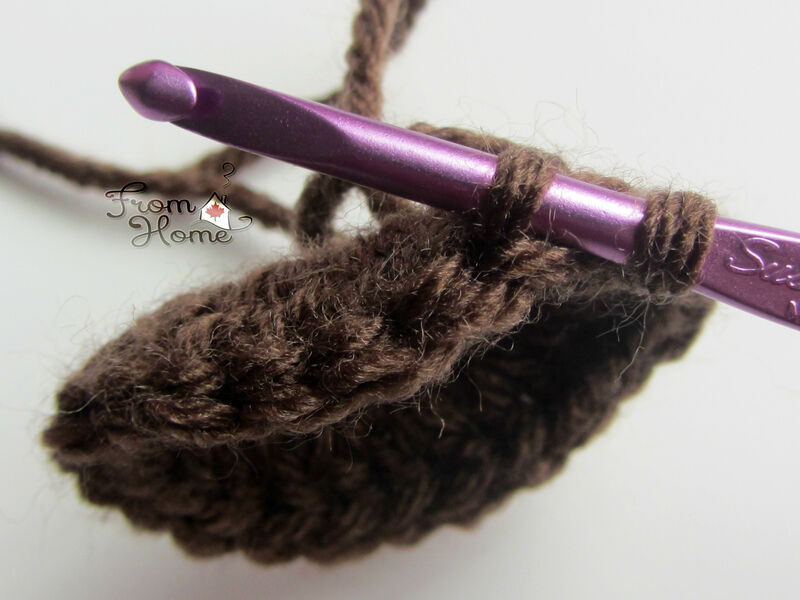 The last photo shows what your completed picot will look like. I had an epiphany this morning! 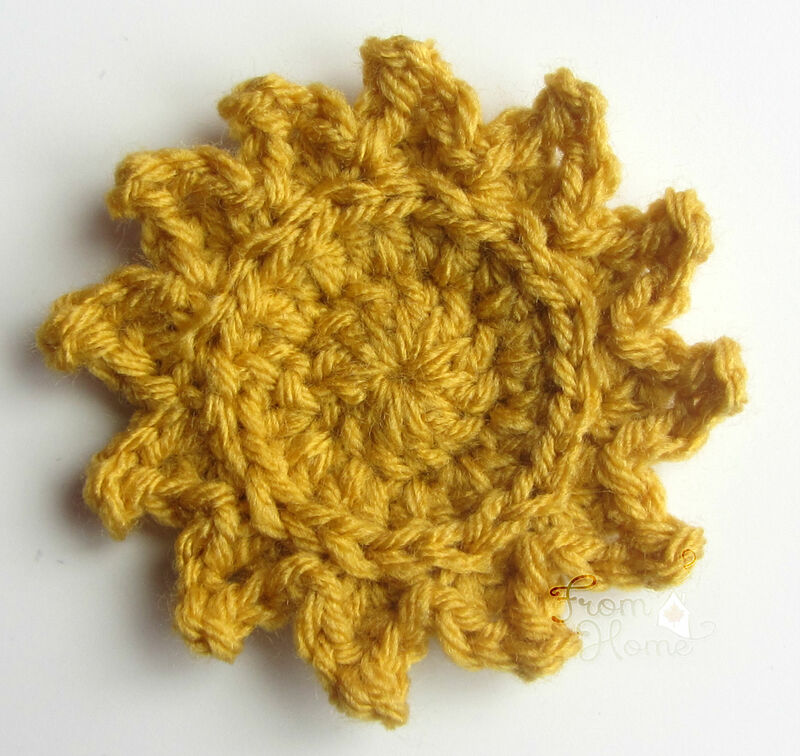 This pattern can also be used to make a sun applique! Stack of completed sunflowers ranging in size. I used a G, H and K hook to make these. 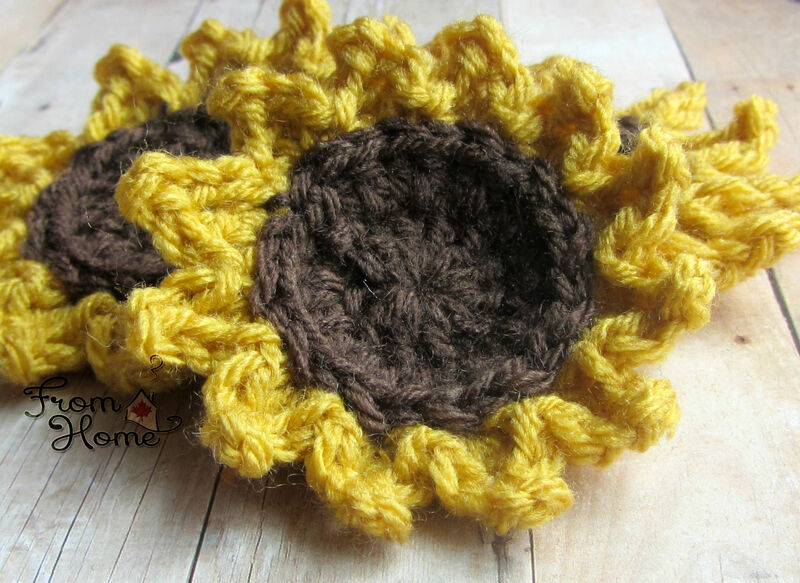 This entry was posted in Uncategorized and tagged crochet pattern, crochet sunflower pattern, free crochet, free crochet pattern, free flower pattern, free sunflower crochet pattern, free sunflower pattern, sunflowers. Bookmark the permalink. Seems easy for a beginner like me Lol.. will be trying it today. Send ya picks when I am finished. Thanks for the pattern!!! You can do it!! If you have questions, ask away! I LOVE these! 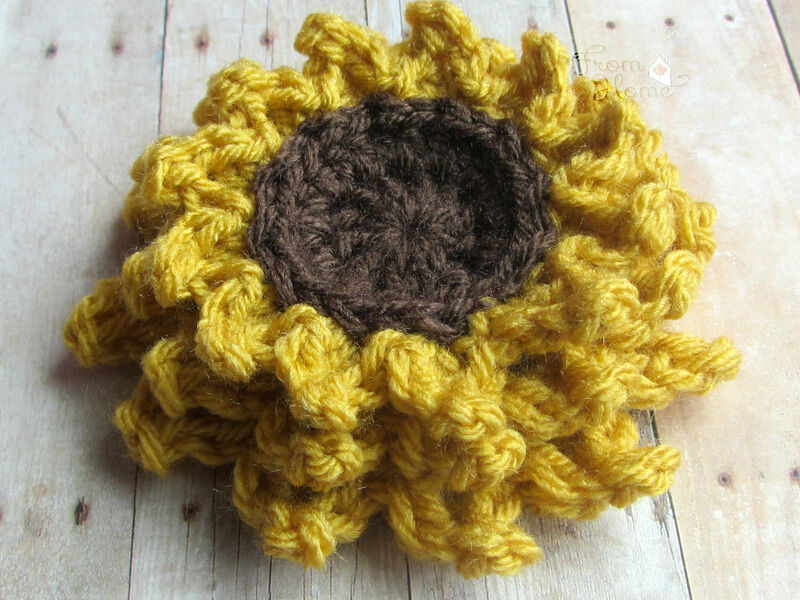 I was just thinking that sunflowers might be my next “me” project! Welcome! 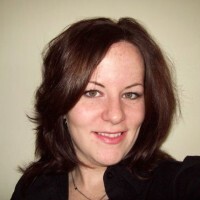 I'm Michelle, the evil genius behind From Home! I am a SAHM of one very smart and busy toddler. I love to crochet, cook, and create. I would love to have you follow along on this ride.